This week, I’m writing about anger. Or to be more precise, about our struggle, as women, to express our anger. In a must-read new book that is perfect for our times, writer, activist and director of the Women’s Media Center Speech Project Soraya Chemaly explores why all of us — women and men, alike — are so uncomfortable with women expressing their anger. We see it every week in the headlines. A woman expresses rage and she gets called hysterical, crazy, unhinged, nasty or a poor leader. Meanwhile, when a man is angry, he’s more likely to actually gain influence and be rewarded. Some angry men even get elected president. Rage Becomes Her: The Power of Women’s Anger by Soraya Chemaly, Simon & Schuster Press, September 2018. Reading her book is a breath of fresh air for those of us who have spent years (even lifetimes) suppressing our rage in order to make the right impression. Chemaly unpacks scientific studies, conducts in-depth interviews and shares her own personal experiences to analyze why society views angry women as dangerous. And she goes further to explain why all this anger suppression is bad for women and for society at large. She argues that women’s anger is one of the most powerful tools for creating lasting change. Anger about inequalities that exist in the world can be transformative. If rightful anger, expressed collectively, is channeled into action — as we’ve seen with the #MeToo and #TimesUp movements and with the VDAY movement to end violence against women — it is a disruptive force. I know this from my own life. I was brought up to be a “good girl.” In the South (and likely elsewhere! ), being a good girl meant smiling frequently, never raising your voice and never complaining. Polite and politic and quiet. I’ll share a cautionary tale about suppressed anger from a former “good girl.” I was teaching freshman and sophomore English at the University of Georgia while working on my doctorate. At the end of the first year while preparing for my salary review, I talked to a colleague who had the exact same schedule of teaching as I did and the exact same level of education and experience. He told me his salary. It was a lot higher than mine. Armed with this info, I went into my meeting with head of the English department and very nicely, in a polite and measured (politic) tone, asked for a raise — the amount of which would equal my colleague. I remember feeling anger welling up, but instead of demanding fair and equal pay for equal work in a non-polite voice, I smiled through slightly clenched teeth and reminded the dean that I, too, had a family to support: a two-year-old child and a husband still in school. He sympathized with my burden but held firm — the budget was set; no raise. Had I been in touch with my anger and been able to express it constructively, firmly demanding fair treatment, I might have walked out with the raise I deserved or at the very least, the ruckus my anger would have created might have led to a review of the wage gap then instead of much later. There were other instances in those first years where I continued to follow the “good girl” strategy, but when the same differential in pay came up in my second teaching position, I let my anger and indignation show. Without a smile, I suggested that perhaps an organized protest among the other women facing similar wage gaps might be more effective than negotiation. That time, I got the raise I asked for and I learned an important lesson that righteous anger rightfully expressed can lead to positive outcomes. 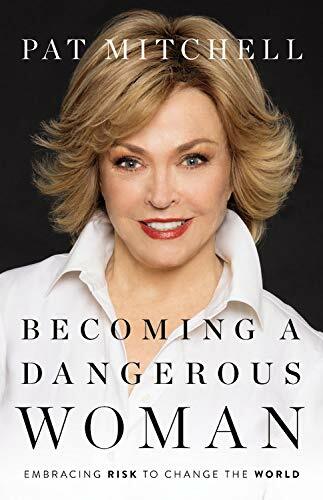 I encourage you to read Soraya’s informative and inspiring book — a game changer for these game changing times — which offers women ways to let go of all that childhood and early adult learning that expressions of anger are unladylike and dangerous. So let’s be angry, dangerous and change the world.